Didn't See anything? We'll Find It. Find the ideal vehicle, pair it with lower monthly auto payments, and you have the equation for a Kia lease from Taylor Kia of Lima. Visit us to lease a Kia in Lima, Ohio that fits all of your needs: innovative design, affordable car payments, and the security of a warranty. A lease is your best driving solution if you do not drive many miles and gravitate towards the high-end models on the lot. There is a Kia model for every driver at Taylor Kia of Lima. 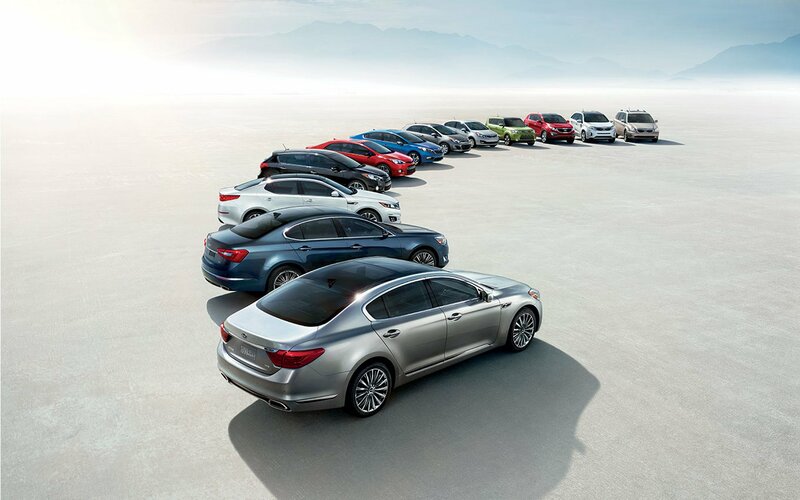 Settle into an elegant experience in the Kia Optima, a mid-size sedan where every detail is carefully considered. Or make every mile count in the Kia Soul, which pairs forward-thinking technology with ample storage space. The Kia Sedona is the family-friendly minivan you have been waiting for, with a design that proves that function and luxury can be synonymous. Visit us in Lima, OH to find the best Kia lease for your household. Taylor Kia of Lima will help you through every step of your Kia lease process. After finding the right vehicle for you, meet with our auto finance team to integrate your auto lease into your budget. Our team will help you map out your monthly auto payment schedule, assess your trade in value, and find the best car loan. Visit our lease office in Lima, OH to head out on the wide open road with confidence.